India And Pakistan Skirmishes – Are We Hearing Warning Bells? After maintaining ceasefire for considerable amount of time, Pakistan's brazen troops carried out surreptitious and sudden attack on Indian troop on 7th August, 2013 on the Indian side of LOC (Line of Control) at Poonch sector. And now India's relations with its aggressive neighbour are at a crossroads, again. There has been major fall out of the tragic incident among politicians and armed personnel in India and India has upped the ante against Pakistan. India sent strong messages to Pakistan that henceforth such actions will be firmly dealt with fierce retaliation. Is the Indian government a victim of its own foreign policy? Is India a soft target? Are we heading towards a full-fledged war? Ganesha takes a look at the current planetary transits and foresees the road ahead for the two of the most important countries of the sub-continent, India and Pakistan. 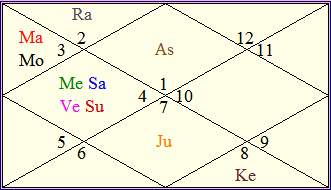 Rahu, Ketu and Saturn are transiting through the 1st and 7th House in Pakistan's Kundali. Saturn and Rahu are transiting through the 7th House of Foreign Relations in Pakistan's horoscope. Whereas, Rahu and Saturn are transiting through the 6th House of Defence and Armed Forces in India's Kundali. Jupiter is transiting through the 3rd House of Communication and Treaties in Pakistan's Kundali, while it is transiting through the 2nd of National Wealth and Relationships (within the country and with neighbours). 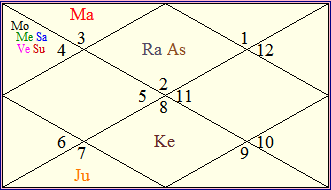 At the time of occurrence of the incident, Sun, Moon and Mercury were transiting through the 3rd House in India's chart. Ganesha feels that Rahu and Saturn current transit will remain crucial for both India and Pakistan, and things may intensify. Sun major and Ketu sub-period in India chart will remain a negative aspect for India as far as relations with its neighbouring countries are concerned. Bilateral relations with Pakistan may turn sour further. India is likely to put all deals, negotiations and dialogues on hold indefinitely. Venus major and Moon sub period till end of 2013 shall remain a crucial period as far as Pakistan's internal matters are concerned. The links between civil administration and military rulers will prove extremely important. Transiting Jupiter is aspecting the 6th House of Defence in India's natal chart, and such aspect of Jupiter will remain significant for India as far as military preparedness and decision making methodology are concerned. India is not likely to go offensive against Pakistan as far as military strike is concerned. 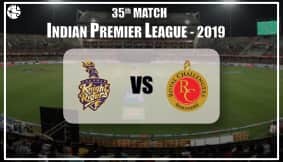 However Ganesha foresees small and concrete steps taken by India to combat and foil Pakistan's attempt for infiltration and give befitting reply in the face of any intrusion from Pakistan side. Venus is placed in the 4th House of Pakistan chart with Mercury, Sun and Saturn. Therefore Pakistan may have to deal with heightened subversive activities of militants within its soil and may try to divert attention towards its bête-noire India. Transiting Saturn is also aspecting 9th House of International Law, Diplomacy Between Countries, Law and Judiciary in Pakistan chart. Therefore, its relation with India will have serious repercussion in the International arena. Lack of coherence between Army and civil administration will loom large. To sum it up, Ganesha says that there will not be any major conflagration in the region between two major nuclear powers - India and Pakistan. However relations between these two countries will reach at ebb. Till mid-2014, Pakistan to remain hostile towards India and try to heighten incursions in the Kashmir region, especially on the line of LOC, foresees Ganesha. India may give serious warnings to Pakistan if situation goes beyond control and will even scrap all the proceedings and dialogues processes unless ceasefire is restored between India and Pakistan. Ganesha feels that although a full-scale war is not on the cards, the cold war between India and Pakistan will become intense. There is also a possibility that Pakistan will try to rattle and bleed India by hook or by crook. Period till mid-2014 will remain critical as per India's perspective as it has to contain its Pakistan through diplomacy, limited military strike in a form of retaliation and by engaging other big international players in the process of dissuading Pakistan, particularly its mighty Military rulers from antagonism towards India.